In our last memory review, we took a look at the Kingston HyperX Fury 1600MHz 16GB DDR3 memory kit. While Fury is a fantastic looking, and highly compatible, memory kit, it's considered a mainstream series for entry level systems. 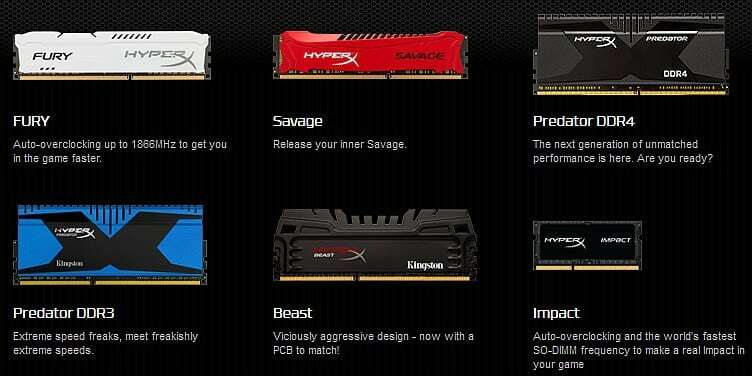 However, the HyperX Savage series takes performance up a notch, boasting higher quality modules and improved timings. Savage sports a candy apple red aluminum heat spreader that hints to its speed. We took the Kingston HyperX Savage 1600MHz 16GB DDR3 memory kit for a spin around the lab track to find out how much speed! Unlike some of the other HyperX series, Kingston's HyperX Savage comes in one low profile color: crimson red! The single module comes in 4GB and 8GB. Kits start at 8GB (2 x 4GB), and max out at 32GB (4 x 8GB). Speeds of the kits are from 1600MHz, 1866MHz, 2133MHz and 2400MHz, which are all pre-programmed XMP profiles in each kit. CAS Latency timings range CL9-11. The frequencies coincide with the timings: 1600-CL9, 1866-CL10, 2133 and 2400-CL11. These timings genuinely benefit CPU processing power. The lower the CL timing the greater the performance especially for rendering projects. The last feature of course is the price. 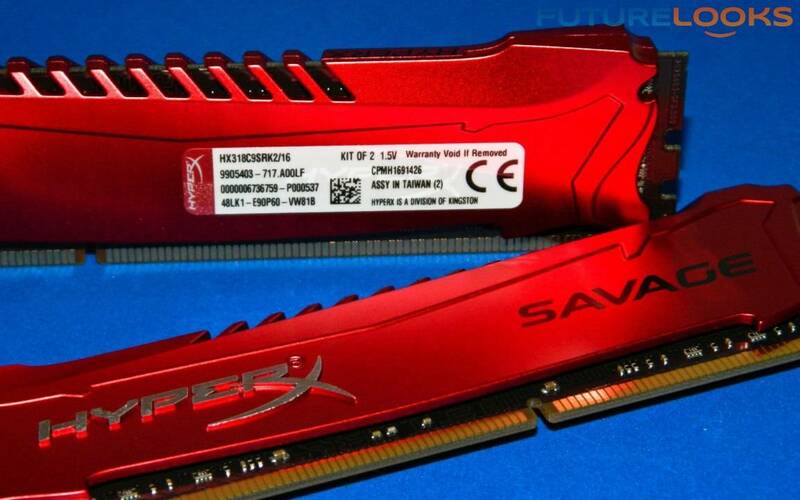 The Kingston HyperX Savage 16GB 1866MHz DDR3 Dual Channel kit retails for around $180 US. The same system we tested the Plug'n'Play HyperX Fury on, was also used in this review, to reveal any system benefits, subtle or not. The BIOS and drivers are exactly the same as well, so definitely have a look if you need more details. CPUZ was used to verify whether or not memory frequencies and timings are correct. The SPD tab will communicate the programmed frequencies within your memory kit. The memory tab verifies what frequency you’re actually running on your motherboard. If your CPU supports 1600 MHz DDR3 by default, but you’re running at 1333 MHz, you can change the frequency for more performance in the BIOS. 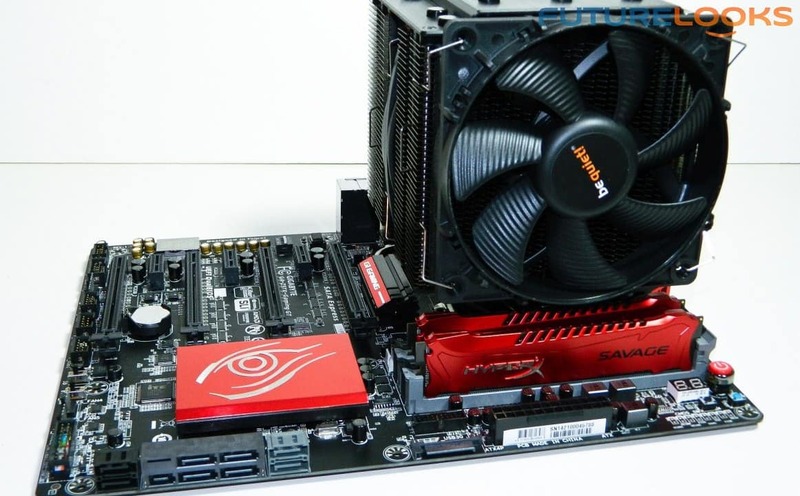 XMP setup is very easy on the GIGABYTE GA-Z97X-UD5H. The Tweaker Mode BIOS' Memory tab contains the pertinent settings which include the XMP Profile, memory timings, and manual frequency options. After you apply an XMP Profile 1 or 2, simply save and exit. It's that easy. Starting in frequency order, Profile 2 automatically configured the memory to 1600MHz frequency with appropriate aggressively programmed 9-9-9-timings. If you're using your system for multimedia projects, this is your best option as timings improve CPU-memory communication. Selecting Profile 1 automatically set the memory frequency to 1866MHz with 10-11-10 timings. As long as the first number (CL) 10 is correct, your motherboard and memory are properly communicating. Here, regular desktop use like games can load quicker thanks to more bandwidth. However, Savage still has some extra bandwidth to offer when overclocked.